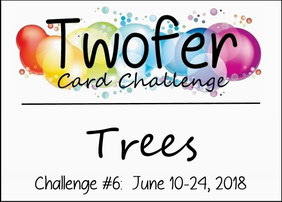 Today I'm participating in Darnell's Twofer Challenge. I used the same Seeing Stars Die from Neat and Tangled for my stars but I used the negative piece for one and the positive piece for the other. That is the only thing that is the same on my cards. I sponged the watercolor paper panel, that I cut the stars out of, with Ranger Distress Wilted Violet, Blueprint Sketch, Broken China and Black Soot. I stamped tiny stars and cluster stampings around the cut out stars and layered the panel over a piece of Kraft Stack Metallic Silver. 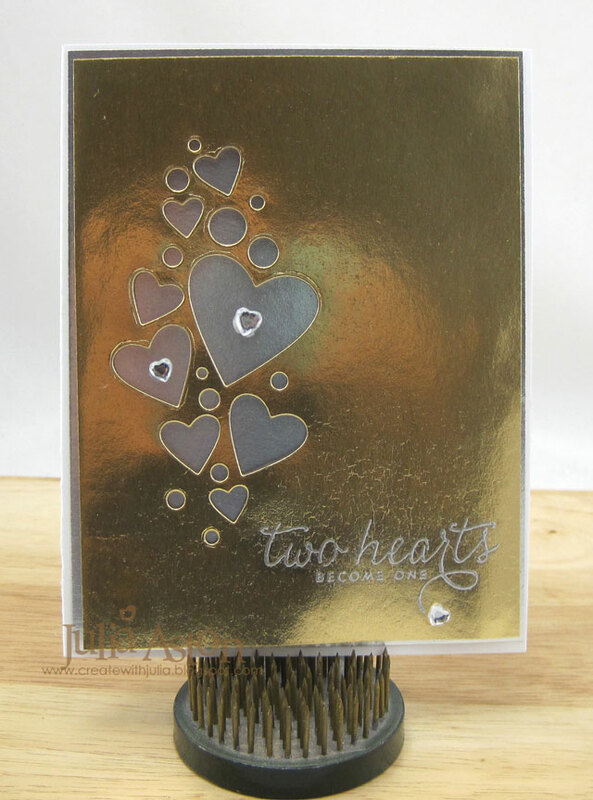 I embossed the sentiment on black using Silver Embossing powder, layered it to a slightly larger metallic silver panel and popped it up on foam dots. 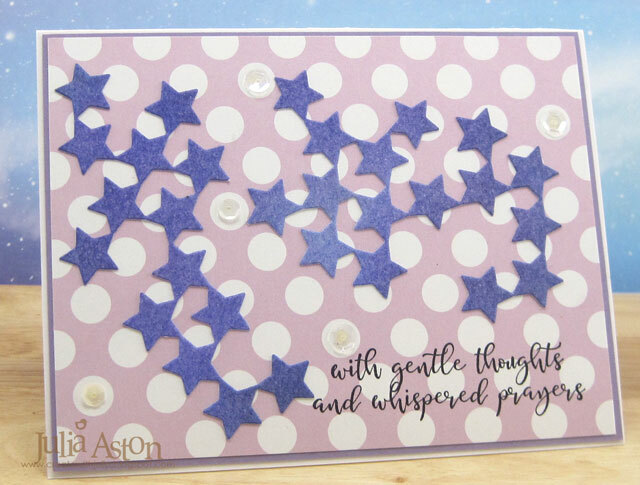 For my Twofer, I cut apart the positive stars from the die cut so I could place them around my sentiment from Impression Obsession. 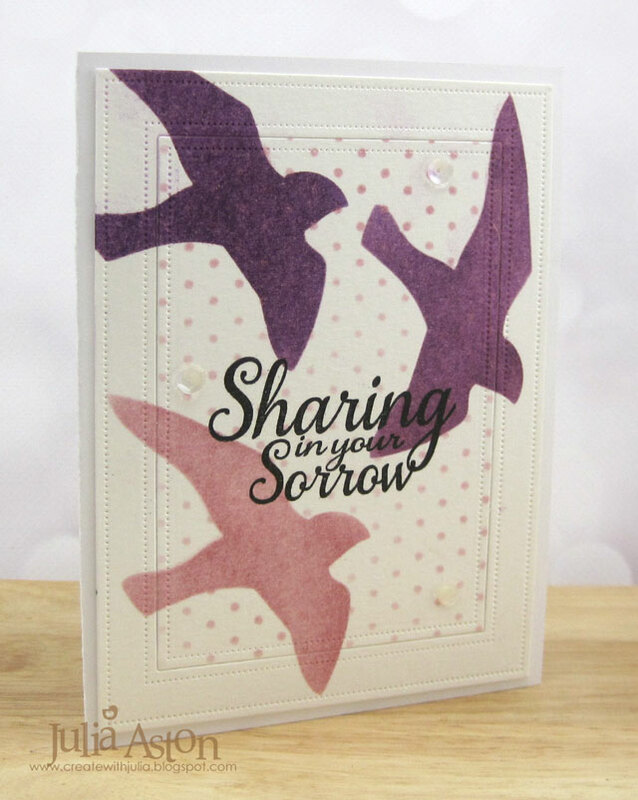 I layered the stars onto a piece of Bitty Big Lilac Grace patterned paper and added some white and clear sequins. I stamped a sympathy sentiment on the inside. We're expecting snow Tuesday night - so glad I'm retired now and don't have to try and get out to work! But then on Wednesday afternoon it's supposed to get into the 40's and everything will melt. Crazy weather here in New England this winter! 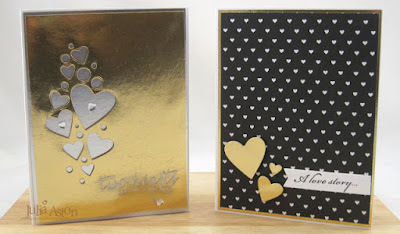 Paper: White, True Black - PTI, Kraft Metallic Silver - Idea-ology/Tim Holtz, Water color paper - Canson. 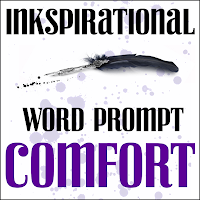 Ink: Ranger Distress Wilted Violet, Blueprint Sketch, Broken China, Black Soot; Versamark, True Black - PTI. 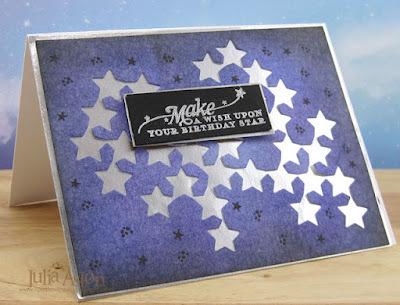 Accessories: Seeing Stars die - Neat and Tangled, silver embossing powder, heat tool. 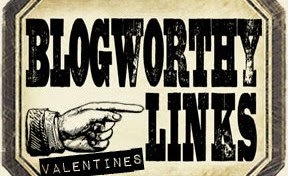 Stamps: With Gentle Thoughts - Impression Obsession. 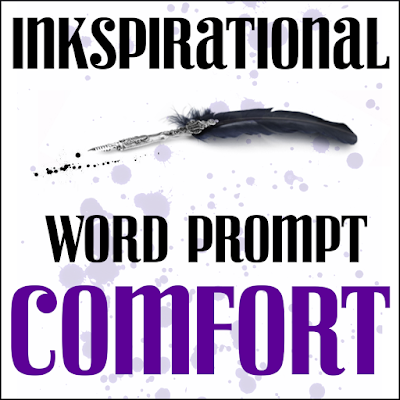 Ink: Ranger Distress Wilted Violet, Blueprint Sketch, Broken China, Black Soot; Versamark, Hero Hues Black. Accessories: Seeing Stars Die - Neat and Tangled, Winter Blend Sequins - Avery Elle, Tombow Glue. 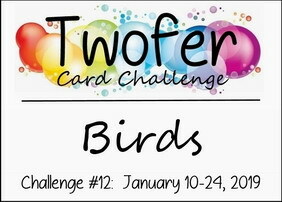 I'm trying once again, to join in on Darnell's Twofer Challenge - these are SO challenging for me! I participated today in the Splitcoaststampers Inspiration Challenge which was Etsy Birdhouses and created this card using a bird stencil inspired by this pillow. 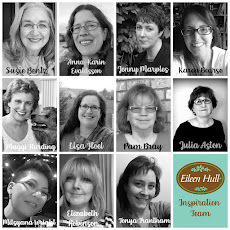 So I said to myself - 'Self - this could be used for the Twofer challenge! 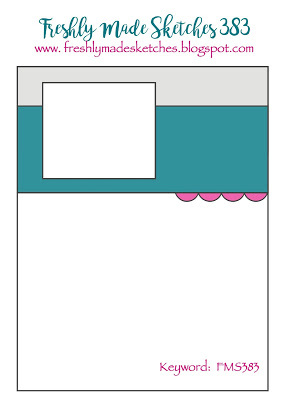 How can I use this in another design?" 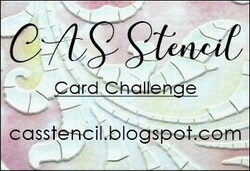 I got out different color inks and a different sentiment and created this card. So I used the same bird stencil, the same dots stencil, the same frame die and the same sequins - but used different colors, more than one stenciled bird and a sympathy sentiment instead of an encouragement sentiment. 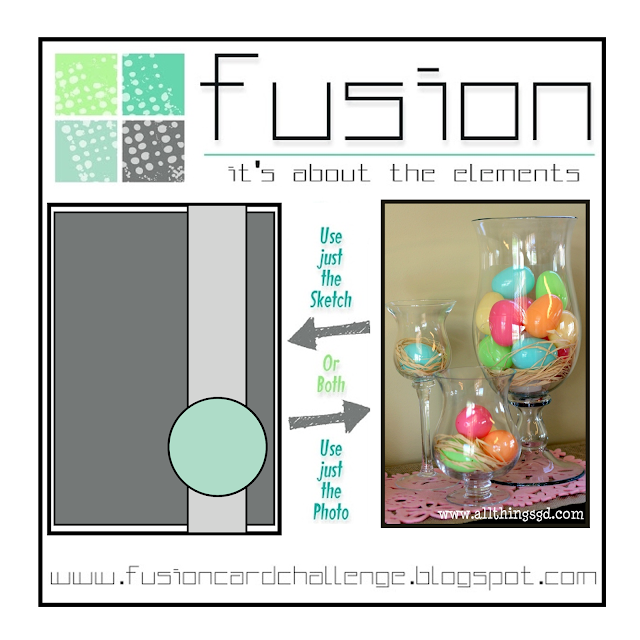 I did not pop up the outside frame piece on foam, which I did on the first blue card. 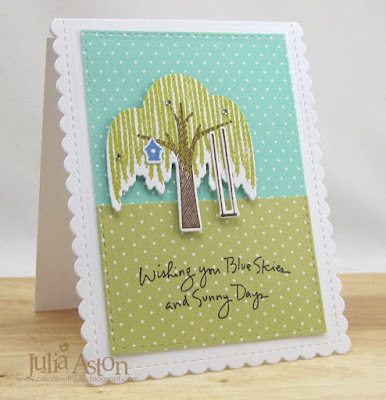 And I only stenciled the dots on the inside piece of the frame die cut on my 2nd card - I stenciled the dots over the whole panel on the blue card. 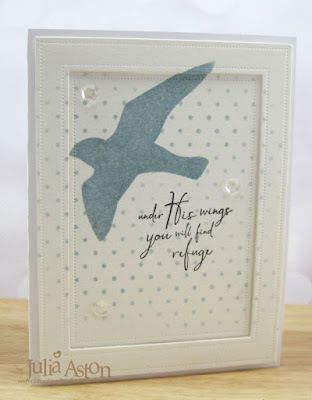 Oh, and I also turned my stencil over so the birds were flying a different way! 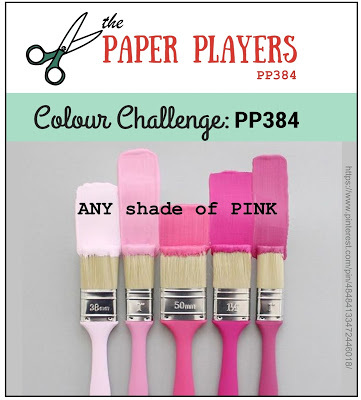 There are just a few more days for you to link up to either of these challenges so get cracking! 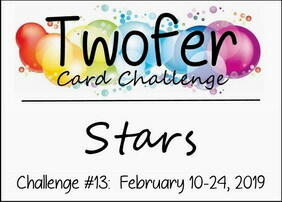 I'm joining in again this month with Darnell's Twofer Challenge! 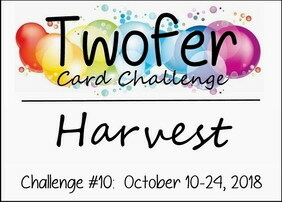 This month the word is HARVEST. You use the same stamps on two different designs for two different occasions. 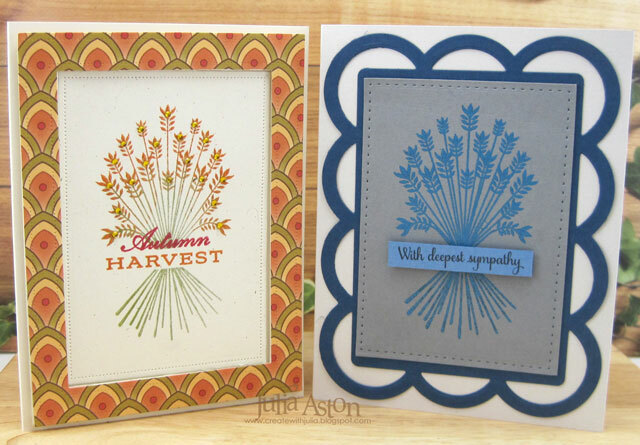 I used the same stamp set for both cards - First Fruits from PTI (no longer available). 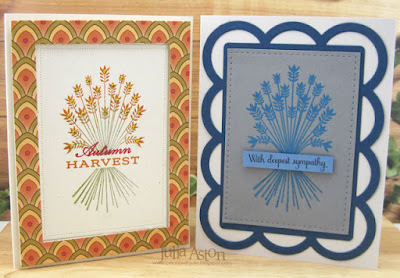 For the first card I used traditional fall colors and a harvest sentiment from the set. I die cut the frame using Pierced Feature Frames from PTI. The outside frame is popped up on foam tape. 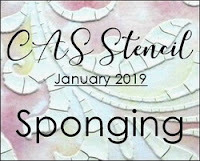 I inked the top of the stamp with Canyon Clay and the stems with Simply Chartreuse. I added a tiny twinkle to the top of each sheaf of wheat. 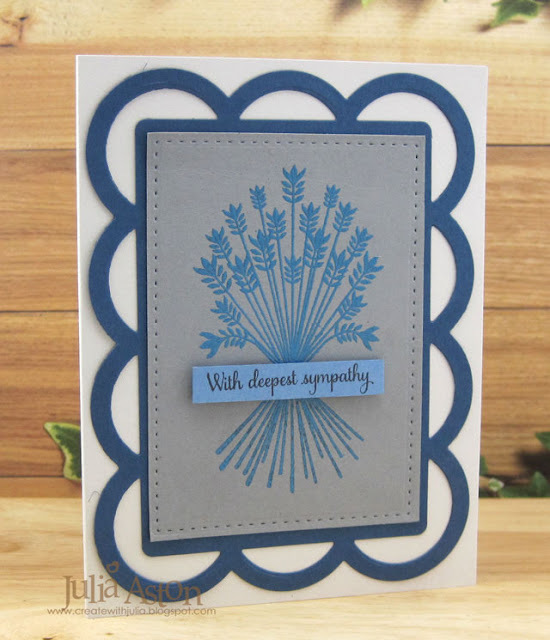 For my Twofer - I used the same wheat sheaves image but embossed it in blue and added a sympathy sentiment stamped on a blue strip, layered over the stamping with foam dots. On this card I used Scallop Stackers Large die for the framing and Mix & Mat Herringbone Die to make the stitched edge gray panel. 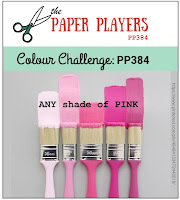 Paper Enchanted Evening, Weathervane, Soft Stone, Blueberry Sky - PTI. 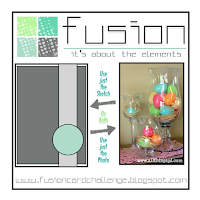 Accessories: Scallop Stackers Big die, Mix $ Mat Herringbone Die - PTI, Cornflower Blue Embossing Powder - Wendy Vecchi/Ranger, foam dots. 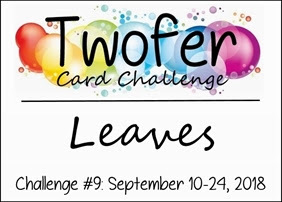 I made myself sit down in my craft room and work on two cards for Darnell's Twofer challenge, which this month is Leaves. I don't know why I have such trouble thinking of two different ways to use the same stamps - but it seems to shut my creative mind right down!?! Usually, I'm very good at multi-tasking - but apparently not so good at multi-designing?!!! 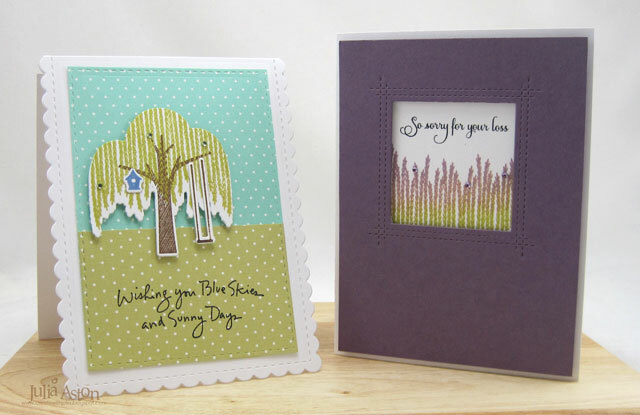 I know at first glance, my cards look similar - same colors, same grid background stamp, same dew drops, same leaf stamp, but on closer inspection, I'll show you how they are different! 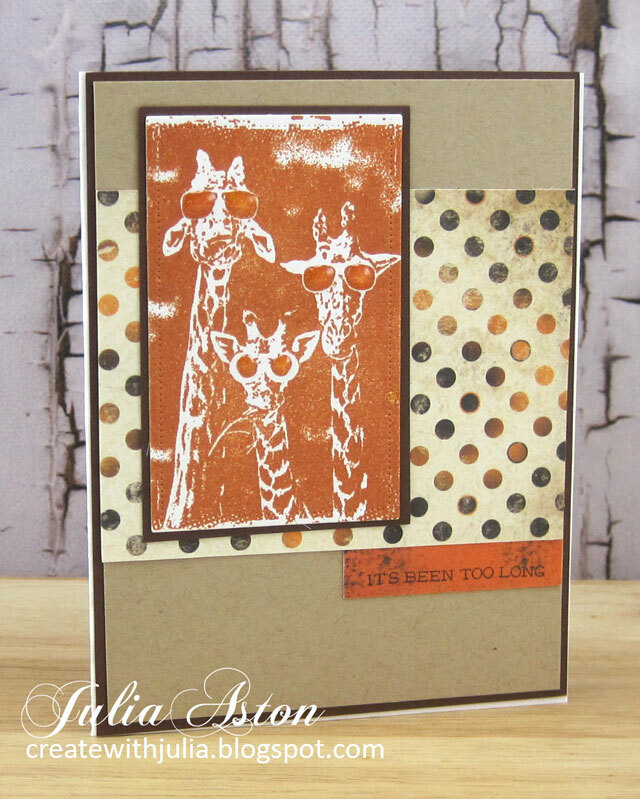 For my first card I stamped this lovely leaf (retired set Season of Change from Sweet N Sassy) by inking the stamp first in Orange Zest and then 'rock n rolling' the edges (remember that technique??!) 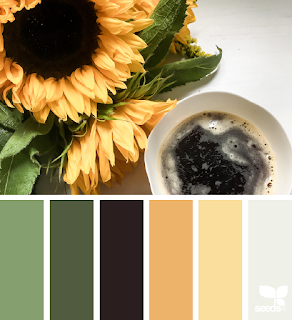 in Honey Nut Ink. You can see all the lovely detail in the stamp. Then I stamped the Distressed Grid background over the panel in Soft Stone and die cut the panel with Pierced Feature Frames from PTI. I repeated the process for the second leaf. Then I die cut the leaves using the coordinated die and layered them with foam dots over a panel of watercolor paper stamped with the same grid stamp as my first card. 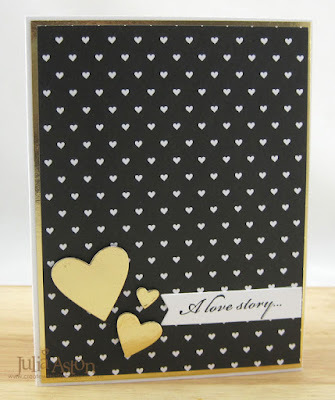 I layered the panel to a scalloped die cut and onto a card base of Rustic Cream cardstock . My Thinking of You card. So, I hope I got it right sis? 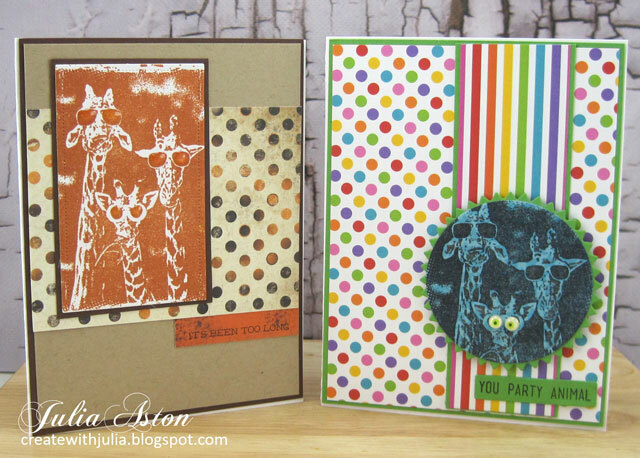 Two different designs for different occasions using the same stamps! 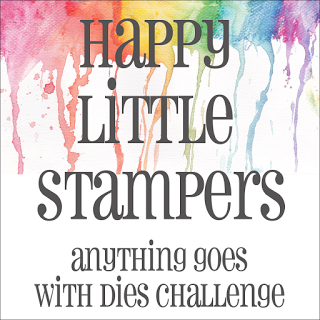 Stamps: Season of Change - Sweet N Sassy (retired), Distressed Grid - Cornish Heritage Farm (retired), Sentiment - Inky Antics. 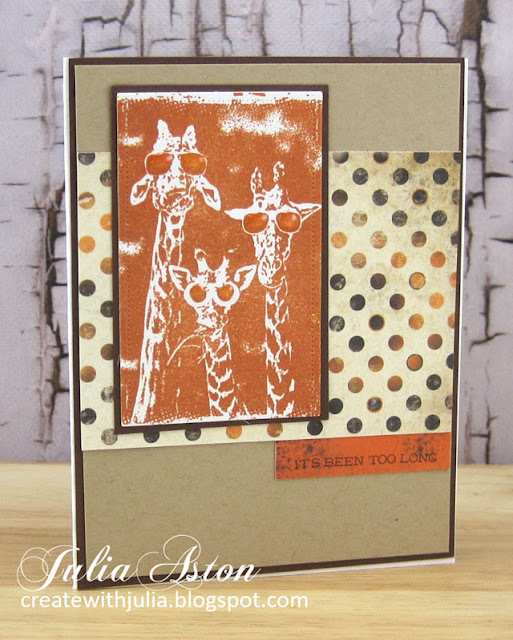 Accessories: Pierced Feature Frame dies - PTI, orange dew drops, foam dots, Tombow Glue. 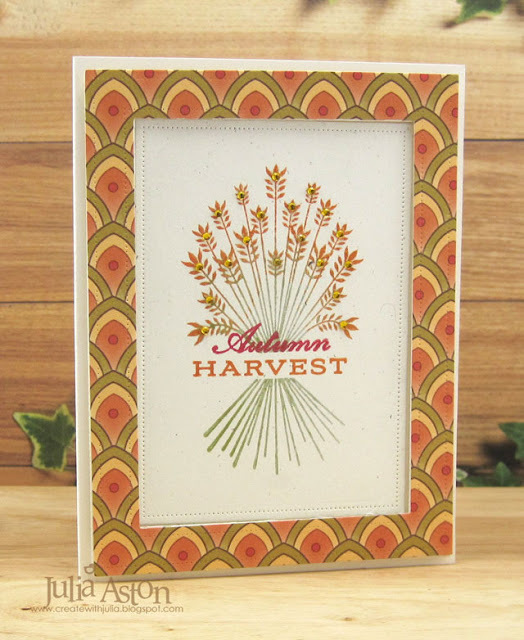 Accessories: Tombow Markers Brown and Orange, water, paint brush, Season of Change leaf dies - Sweet N Sassy (retired), Scallop Stackers Medium die - PTI, foam dots. Yikes! 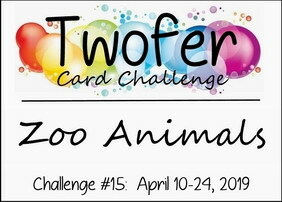 What a challenge Darnell's Twofer Card Challenge is! 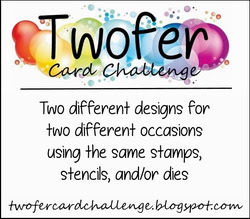 I really have to get my brain in gear to make two different cards for two different occasions using the same stamp! But I think this month, I actually got it! Using a tree stamp in two different ways! For my first card, I used the lovely willow tree as a tree. Stamping the tree and die cutting it, adding the little swing and birdhouse. I got this stamp set from a flash sale from PTI. It's called Backyard Branches and PTI sold it from Facebook a few weeks ago - I got an e-mail about the sale and was lucky enough to order two of the four sets available before they were gone! 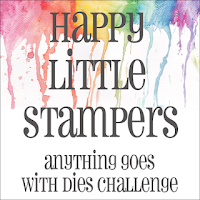 They are small stamp sets with the dies included for $15.00 each. I think they may offer the four sets again - but it's not in the web store now. 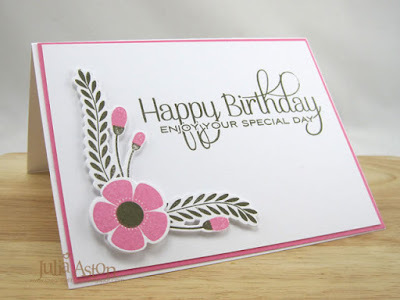 Anyway - I made this a Birthday card and stamping Happy Birthday inside. 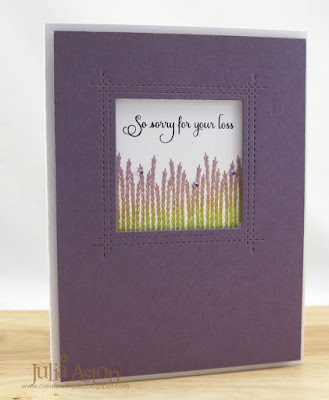 For my Sympathy card, I took the willow tree leaf stamp (it's separate from the trunk stamp), turned it upside down, inked the bottom half of it with Simply Chartreuse and the top half with Plum Pudding - thinking it would look rather like a lavender plant. I die cut the square frame out of a panel of Plum Pudding and layered the stamped panel behind the opening using foam tape so it sits back from the frame. I stamped the sentiment from Words of Comfort from PTI and added 3 Tiny Twinkles and layered it all over a white card base. 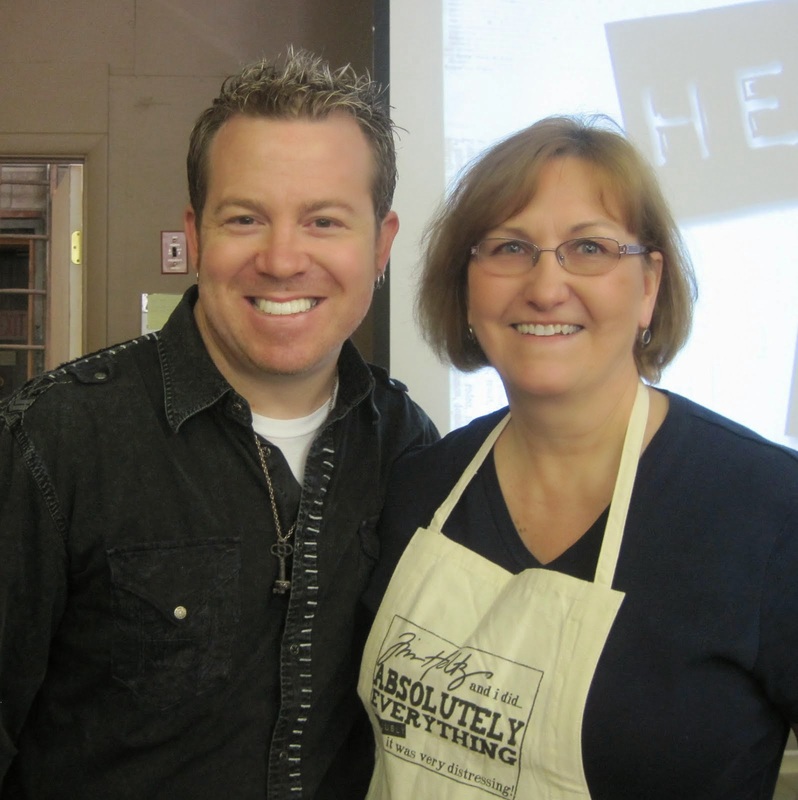 So there you go - my Twofer! And please excuse me while I go take a nap to rest my brain!! Accessories: Backyard Branches Dies, Noted: Scalloped A2 dies - PTI, foam dots, Tiny Twinkles - Taylored Expressions. 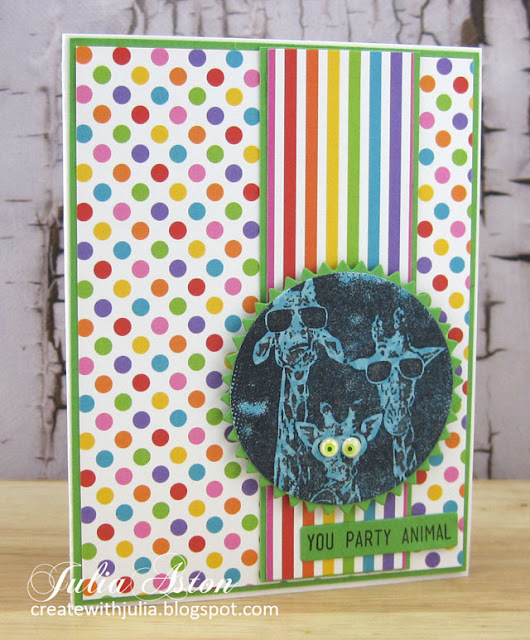 Accessories: Square Peek a Boo Die - MFT, foam tape, Tiny Twinkles - Taylored Expressions. Today I'm joining in with the fun Twofer March Card Challenge. 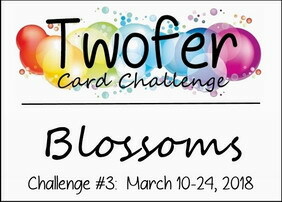 We seem to be having a blizzard a week for March here in MA so I'm ready to bring on the blossoms!! 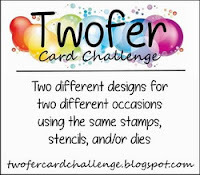 I used a new PTI stamp set on both of my cards today - Corner Adorner February Stamp Set. 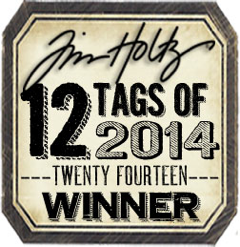 Both of the sentiments are from Think Big Favorites #24 stamp set - also from PTI. 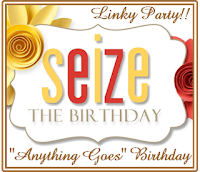 I used the coordinating dies for the set on my Birthday card. 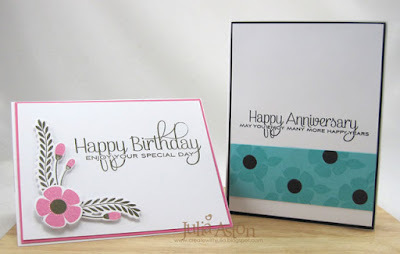 I just stamped the the big blossom and leaves directly onto a colored panel for my anniversary card. Accessories: Corner Adorner February Die Set - PTI, foam dots.